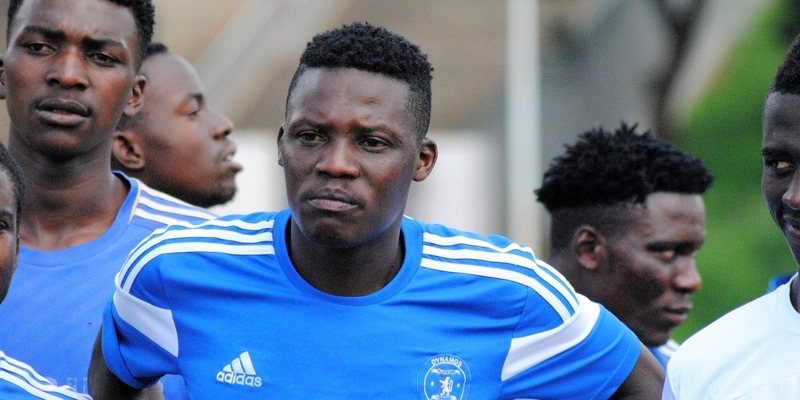 Dynamos finally kicked out their long serving midfielder Denver Mukamba from the club. Mukamba who has been having a long dispute with his club over disciplinary issues appeared to mending savoring ties with his club after training with the Harare giants on Tuesday. Speaking to the Herald, coach Lloyd Mutasa stressed that the team do not tolerate undisciplined players, saying no player is bigger than the club. While the club has been divided over dealing with Mukamba issue, Mutasa finally stamped his foot and declared all Dynamos stakeholders must all make peace with his decision. “He cannot choose when to come and go. At Dynamos it is not about an individual, but about the team and this club has had many greats who came and went, but the club has been going on,’’ he said. Mukamba has reportedly been suffering drug abuse which has made him go AWOL several teams even during crucial matches and Mutasa believes he has given the player enough time to reform and cannot hold the club at Ransom. “We cannot destroy the great chemistry that is in the dressing room at the moment. “Some people might say we are being too harsh on him, but if you remember very well, just last year, we even gave him an opportunity to play in the national team again and what did he do? He ran away from camp”, Mutasa added. Dynamos President also confirmed the developments saying the administration will rally behind the coach for the better of the team. But the decision will come at a huge cost since Mukamba has a running contract with Dynamos ending next year in July. The club may be forced to fork out $40000 on sign on fees and contractual obligation.